Meet the world is most stringent exhaust emission regulations, including Japan is New long-term regulations and the United States 10 regulations. Industrial diesel engines play an essential role in helping enrich the lives of people around the world as power sources for construction machinery, generators, and other applications. Since our foundation in 1916, we have consistently focused on "creation without compromise" in the process of building Isuzu into the company it is today. To ensure the most advanced safety, economic, and environmental performance, as well as superb service, we are moving forward in product development, quality, manufacturing systems and customer support which will become the new global standards of excellence. Our Strengths: Demonstrate our value by best understanding and satisfying the needs of the end customer, striving to be the best business partner for every client with a quality service system. Moreover, we aim to develop together with our customers, winning their trust as an excellent business partner. Isuzu Motors was founded in 1916, making it one of Japan's oldest automobile manufacturers. Isuzu was the first to start working on industrial diesel engines, starting sales in 1952. 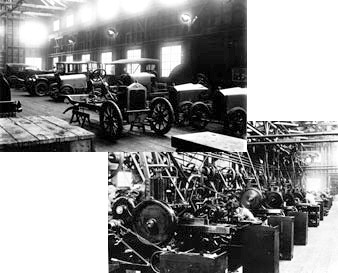 Since then, our company has supplied industrial engines for various types of applications, including construction machinery, generators, and even snow vehicles to be used for expeditions in the harsh and precarious conditions of the South Pole, maintaining a strong reputation among industrial machinery manufacturers both in Japan and overseas. Today, Isuzu produces an extensive line-up of industrial-purpose diesel engines with models ranging from a 4-cylinder 2.2-liter engine to a 6-cylinder 15.7-liter engine. Through this wide variation, Isuzu contributes power sources to support the lives of local communities throughout the world as a leading manufacturer of industrial diesel engines. All manufacturers’ names, numbers, symbols and descriptions are for reference only. It is not implied that any part is the product of the manufacturer. Isuzu® is a registered trademark of Isuzu Motors Ltd.
We can also provide cylinder head for Isuzu engines.Other parts that can supply Isuzu engines, please visit our website and send us a query via email. An industry leader of over 20 million diesel engines worldwide. Isuzu diesel leads the way with technological advancements offering a wide range of EPA compliant products. Isuzu is proud to offer more than 20 different engine models with power ranges beyond 500HP.Isuzu diesel engines lead the way with technological advancements offering a wide range of compliant EPA Interim Tier 4 products. Our cooled EGR and highly-optimized performance calibrations, each a component of Isuzu Clean Air Solutions (ICAS), innovate and fuel what matters most: your profits. We supply the world's most widely used Isuzu industrial diesel engine, engine parts and spare parts inventory.